Romanstone Greco pavers make your driveway a beautiful asset. The rectangular shapes offered in Greco create a relaxed, timeless appearance. Its tumbled look and flat surface creates a natural “old-world” cobblestone look. As an added feature, the 80mm thickness makes Greco an ideal edge restraint and landscaping edging as well. 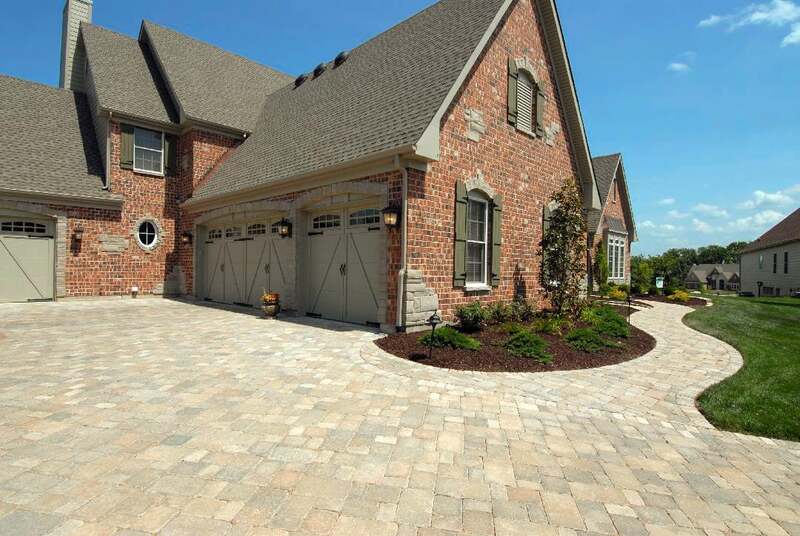 Greco Century Series Paver - this is arguably our best paver system. The pavers come in three shapes. These three shapes are sized such a way that random patterns are easily created. Yet, there sizes are different enough that they are not confusing to lay. Greco also has no lugs molded to the sides. This allows the paver to truly mimic old world cut cobble stones. Did I mention that they are 80mm thick - that is about 3.15" - making them the most durable paving system I can think of. Greco is produced using a “no-slump” concrete mix, made under extreme pressure and high frequency vibrations. Unit pavers will meet or exceed the requirements established in the ASTM C936 (standard specification for interlocking concrete paving units). Requirements of this standard include an average compressive strength of 8,000 psi, average absorption no greater than 5%.